The 10th TECH cocktail in Chicago drew a crowd of over 700 guests as they helped to amplify the technology signal and kicked off the 2009 TECH cocktail season. 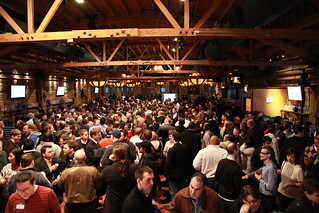 The event was sponsored by Microsoft BizSpark, ChicagoMicro, SaperLaw, Eastwick PR, Total Attorneys and OpenMake Software. The following startups showed off: Cameesa.com, FYIndOut, The Local Tourist, Dosensio, Coupon Tweet, News @ Seven, Newser, Fan Found and Texthog. Photos were taken by Jen Consalvo.